Plus our complete overview on what makes perfume toxic, or non toxic! Especially when a lot of ingredients in the world of fragrance and cosmetics sound more like they belong in a science experiment than on our delicate skin every day! Find out what ingredients in perfumes and fragrances are toxic to your health, and what perfumes you can safely wear, so you can smell great and be well. 1. Is your perfume toxic to your health? 2. How can perfume affect your body? 3. What is the potential harm to your body? 4. What ingredients should you watch out for? 5. You want to protect myself. What can you do? Splash of Scent: Gorgeous luxury, non toxic perfumes crafted using pure ingredients. Vegan & cruelty-free, and Splash of Scent offers full transparency on the ingredients in their perfumes. Created by botanists Sophie and Bart, this family-owned business is based in California, and all perfumes are handmade in small batches. 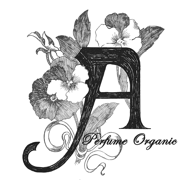 A Perfume Organic: Created by designer/perfumer Amanda Walker, A Perfume Organic wanted to offer an alternative to synthetic perfumes, using the finest, purest ingredients from plants. Abel :Founded in Amsterdam by former winemaker and New Zealander Frances Shoemack in 2012, Abel is on a mission to blend the pleasurable world of perfume, with the conscious simplicity of nature. Florescent Perfume: Susannah Compton is the perfumer behind Florescent, a line of handcrafted non toxic fragrance made with pure botanical ingredients. She launched Florescent in the spring of 2015 to share how fresh and sensual fragrance can be when it’s naturally derived. LURK Perfumes: Inspired by a long-time passion for sustainable living, eco beauty & the power of essential oils, LURK was created to develop luxury perfumes for the modern organic lifestyle. IME Perfumes: IME Perfumes believes in a holistic approach to wellness, and you can choose your perfumes by muse, by mood, by colour or by scent. One Seed Perfumes: This small Australian perfume company has been around since 2009, and makes scents that are 80 per cent organic and 100 per cent natural. Even their packaging is sustainable. OSMIA: Osmia means ‘sense of smell’. Every Osmia product is made with utmost attention to the scent and its aromatherapeutic benefits. 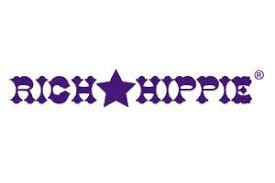 Rich Hippie: This non toxic perfume is made with extracts from organically-farmed plants and flowers, and in very small batches using traditional techniques. Strange Invisible Perfumes: These botanical fragrances are bottled in Venice, California and formulated with organic, biodynamic essences. Tsi-La: Tsi-La combines true luxury with clean, organic products to give you holistic benefits. Vered: Founded by a master herbalist and esthetician, this line offers scents and skincare products made from certified organic botanical ingredients. Is your perfume toxic to your health? But hang on a second. Aren’t perfumes supposed to be made from natural ingredients… like flowers and herbs? Well, they used to be, and a very exclusive few still are. But ever since perfume formulations changed some time around the late 70s and early 80s, the vast majority of modern-day, store-bought fragrances are approximately 95-100 per cent synthetic (man-made) says the Invisible Disabilities Assocation. You might wonder why perfumes are so expensive then, right? The synthetics used in perfume are derived from chemical reactions and usually use crude oil or turpentine oil as the base material. The resulting chemical compounds are what create the scent, longevity, or shelf life of a fragrance, and it has been widely suggested that many of them could cause sensitivity or other issues when inhaled or applied to the skin. These are serious accusations, and they’re nothing new – Pitts wrote these words over 15 years ago! But why don’t we hear more about this kind of stuff, if there are really all those nasty chemicals in the pretty perfume bottles? To be fair, there are often only very low doses of chemicals in these products, and for many, a small amount of fragrance will probably not have a negative effect. This has been shown in numerous studies – particularly ones conducted by industry groups and manufacturers, who have an interest in making sure that perfumes remain profitable. However, what we might want to take into account is the potential effect of simultaneous exposure to multiple products, daily, over long periods of time. And then when you add in the possibility of increased susceptibility due to compromised immunity, stress, or other environmental factors… well, it’s perhaps worth taking a closer look. “’Even if the general population isn’t likely to suffer acute effects from exposure to fragrances, there are long-term chronic health effects connected to these chemicals that we don’t fully understand yet,’ says Carrie Loewenherz, New York Committee for Occupational Safety and Health. Who doesn’t know someone who complains of getting a headache every time they smell strong perfume, or someone who gets sneezing fits around department-store fragrance counters? Pitts goes on to warn, “Synthetic fragrances are capable of causing a number of diseases, many of which a person may not equate to the product. It’s true that most of us never really think about what’s inside the bottle. Instead, we simply trust that manufacturers wouldn’t sell us anything that might be bad for our health… and anyway, perfume seems like such an innocuous product. How could it possibly harm us? How can perfume affect your body? 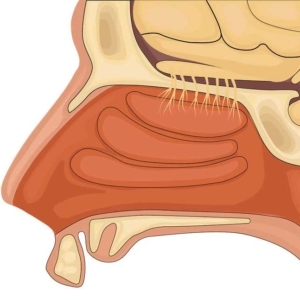 Absorption through your olfactory organ, aka your nose. Let’s look a little closer at what happens with each of these organs. A lot has been said about the alcohol in perfume and its potential aging effects on the skin. In reality, it’s not the alcohol itself that causes skin damage, but it can make your skin more photo-sensitive, so skin that is exposed to sunlight during the day – such as your neck and décolletage – may be affected over time. But there are other culprits in a bottle of perfume that can affect your skin, and even your overall health, just from being sprayed onto your body. At the surface, a reaction might look like a rash, hives, itchiness, or redness, and is often attributed to allergies. Fragrance allergies can show up in many ways, but if your perfume is causing any kind of skin irritation, it’s obviously best to stop using it right away. With thousands of ingredients being used in perfumes and cosmetics, it can be difficult to pinpoint the cause of a specific reaction. That’s just skin deep, though (pardon the pun). The skin is the largest organ of the body, and is a superstar at protecting the delicate organs on the inside… but it isn’t completely impermeable. 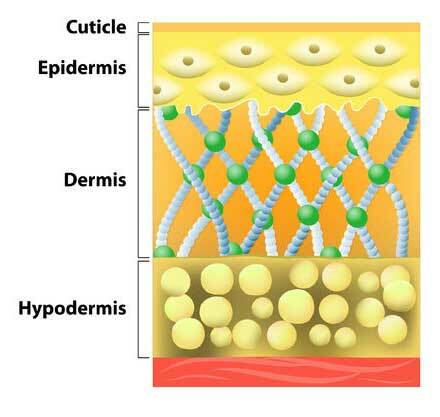 To dust off our memories from high school biology class: the skin has three layers. The top layer is the epidermis; it’s waterproof, and is where your skin tone comes from. It’s also your strongest barrier against external factors. The next layer is the dermis, where body hair, sweat and oil originate. 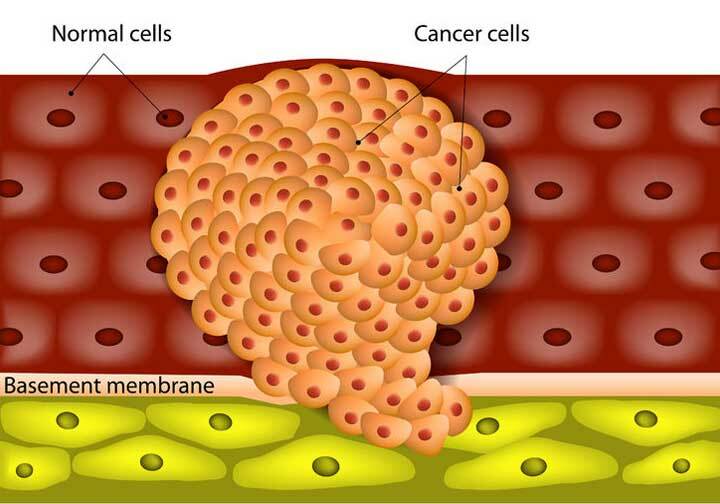 Then there’s the deep layer, called the hypodermis, where fat is stored as padding and warmth for the body. While it’s true that many chemicals have molecules too large to pass through this triple-guard system and enter the bloodstream, there are plenty of substances whose molecules are small enough to penetrate your skin, such as retinoids (e.g. retinol) and hormones like estrogen. There are plenty of substances whose molecules are small enough to penetrate your skin, such as retinoids and hormones like estrogen. In fact, the medical industry counts on it. Think about the patches used for nicotine or birth control. These are specifically designed to make use of the skin’s ability to absorb substances that it comes into contact with, and deliver that substance into the bloodstream. As you spray perfume on your skin, your pores will start to absorb some of the ingredients you applied on your skin. While the more volatile ingredients of perfume will have a short contact with your skin, the longer lasting ones may be in contact with your skin for several hours or longer. Absorption is when the chemical actually gets into the bloodstream...and has potential for the chemical to affect the rest of your body. Penetration and absorption are two different things, by the way. Penetration is when a chemical gets past the outer layers and into the deep skin tissue. Absorption is when the chemical actually gets into the bloodstream… and it’s where the main concern lies, since that means there is potential for it to affect the rest of your body, especially over the long term. 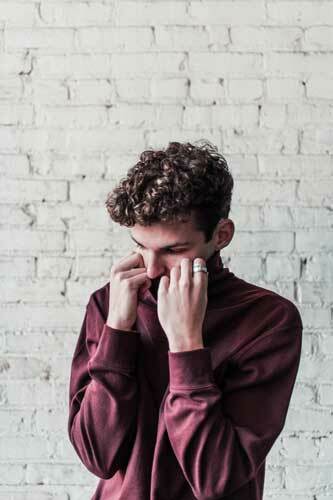 Like with skin reactions, the nose is a first line of defense and often serves as an indicator of the presence of irritants in a perfume product. Sneezing, or a stuffy or runny nose, can be a sign that your nose doesn’t like what it’s encountering, and is already lining up its defenses to keep the rest of your body safe. Scent can irritate the airways themselves, causing allergic reactions the same way that pollens and dust do. But it doesn’t end there. Our nose is a miracle organ. It not only has thousands of receptors, it is also one of the few external with an almost direct connection to the bloodstream and nervous system. This is why many people are now proposing the idea that perfume is the new passive smoking – because just like being exposed to cigarette smoke, prolonged exposure to the synthetic chemicals in perfume can negatively affect your health. But basically, even if you apply perfume only on your clothing, or even if you are just walking through the perfume section of the department store, or standing next to a perfumed person in the elevator, you are potentially absorbing those ingredients. Worse, according to the Health and Environment Resource Centre, evidence suggests that children are even more susceptible than adults to the chemicals in perfume (again, not unlike cigarette smoke). What’s the potential harm to your body? Of course, some people are just very sensitive to fragrance, or to certain ingredients in perfumes, and will have allergic reactions even to the safest products. According to the National Institute of Health about 12 to 15 per cent of the population are allergic or sensitive to modern chemicals as found in fragrances – which, mind you, is a LOT higher that, say, peanut allergies, at less than 2 per cent of the population, or even pet allergies, at about 10 per cent. But even though it affects a large portion of the population – one in seven people! – perfume allergies aren’t the only potential concern when it comes to fragrance, and certainly not the most serious. Perfume itself may not be the root cause of asthma, which is thought to be largely genetic, but it certainly can trigger it, as confirmed by the Asthma and Allergy Foundation of America. Exposure to perfume can set off a sudden asthma attack, and for some asthma sufferers is even the most common source of attacks. It also been strongly suggested that regular exposure to perfume, which is an irritant, can increase one’s risk of developing asthma – in the same way that exposure to cigarette smoke, exhaust fumes, or industrial chemicals can. The EWG’s Skin Deep reports that one in three personal care products contains at least one chemical classified as a possible carcinogen, and one in a hundred contains chemicals that are probable carcinogens. Now, this doesn’t mean that your perfume is necessarily going to give you cancer; a lot of factors will affect a specific carcinogen’s behaviour, such as a person’s genetic risk factor or the duration and intensity of exposure. But the very fact that they are so widespread, largely undocumented, and under-researched, may give pause for concern when you see an ingredient list full of unfamiliar chemicals. Per the definition of the National Institute of Environmental Health Sciences (NIEHS), endocrine disruptors may cause issues to human health such as lowered fertility, an increased incidence of endometriosis (a painful disorder affecting the growth of tissue outside your uterus), and some cancers. Numerous chemicals used in fragrances have been proven to be endocrine disruptors. Reproductive toxicity is a hazard associated with some chemical substances, and refers to interference with normal reproduction. It includes adverse effects on sexual function and fertility in adult males and females, as well as developmental toxicity in the offspring. 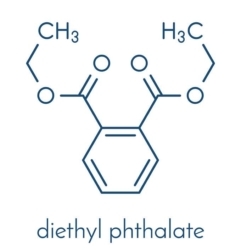 Pthalates are an example of a commonly used perfume ingredient linked to reproductive and developmental disorders. Ultimately, there isn’t a lot of data available on the effects of chemical perfume ingredients on human health over time. And in any case, with people being exposed to so many chemicals on a daily basis, it would be very hard to pinpoint exactly which one(s) to blame, if test subjects became ill or sensitised. But some of the substances used in perfumes and fragranced products have been shown to be harmful, for instance to animals or to human cells in lab experiments. Do you really want to take your chances? What ingredients should you watch out for? Once you start thinking about the potential long-term effects of perfume ingredients that come into contact with your body every day, you might be wondering how to avoid the most harmful ingredients and how to find non toxic perfume. But where do you start, when there are literally thousands of ingredients used in perfumes and cosmetics, and most of the stuff on a product label doesn’t even sound like English to begin with? How do you know that the perfume in your hands is a non toxic perfume or contains toxic ingredients? The International Fragrance Association (IFRA) lists several thousands of materials that are being used in fragrance. A number of these are reportedly linked to cancer, reproductive toxicity, allergies and sensitivities. However, it’s important to remember that even if you own products with these types of ingredients in them, it may not be a reason to panic and throw them all in the bin! Toxicity is largely about dosage. Nature likes balance. Toxicity is largely about dosage. Substances can have very different effects at different doses, and many of those deemed harmful have only been proven to harm at high doses or prolonged exposure. A good example is Vitamin C. If you were to apply a hyper-concentrated dose of Vitamin C to your skin, you would most likely experience irritation, and even cell death. 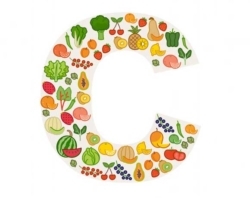 However, at the right concentrations, Vitamin C is a proven to be an excellent antioxidant and good for skin health. Nature likes balance. That said, if you want to know what to watch out for, here are just a few of the most common perfume ingredients that have been shown to have potential to cause health issues. But be aware – some of them you won’t even find listed in the ingredients! 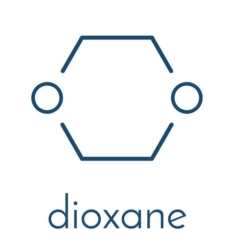 1,4-dioxane is not listed on labels as an ingredient but can be present as a trace contaminant, as it’s used as a solvent in the making of fragrance. It’s a by-product of commonly used derivatives such as Sodium Lauryl/Laureth Sulfate, Ammonium Laureth Sulphate, PEG compounds, clauses xynot, ceteareth and oleth, which in themselves are not necessarily dangerous. It is a known carcinogen. Here is the issue with this one: even if you check the label, it will not be on there. Since it is produced during the process of mixing several components together, the FDA (and many other organizations) do not require it to be on the label. 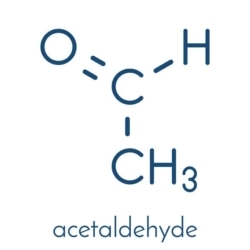 Acetaldehyde, commonly found in perfumes, has been shown to increase the risk of developing cirrhosis of the liver, cancer, and even alcoholism. Benzophenone and related compounds have been linked to cancer and endocrine disruption, and are mainly used in sunscreens as they are effective at blocking UV rays. However, because of these properties, they are sometimes also added as preservatives in fragrance, moisturizers, shampoo, and makeup products. 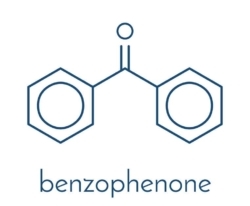 You may find the listed as Octyl methoxycinnamate, Benzophenone or BP#, oxybenzone, sulisobenzone, or sulisobenzone sodium, and their use is regulated in the US and EU. 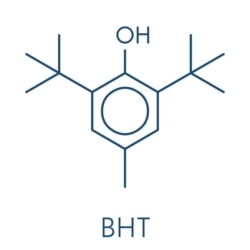 Butylated compounds, marked on the label as BHA or BHT, can be found in fragrance, deodorant, creams, sunscreens and make-up. 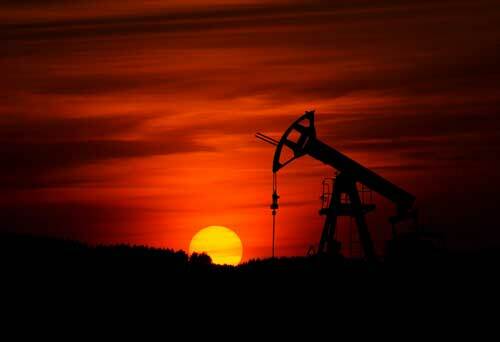 They have been identified as having risk factors including endocrine disruption and reproductive toxicity. 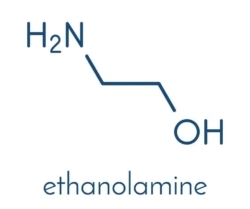 Diethanolamine (DEA), Triethanolamine (TEA), monoethanolamine (MEA), cocamide DEA, cocamide MEA, DEA-cetyl phosphate, DEA oleth-3 phosphate, lauramide DEA, linolamideMEA, myristamide DEA, oleamide DEA, stearamide MEA, TEA-lauryl sulfate. Methylene chloride is banned by the FDA, but it might still occur in illegal imports, non-regulated perfumes or knock-offs. Similar to 1,4-dioxane, its use in fragrance is as a solvent, due to its ability to dissolve a wide range of organic compounds. 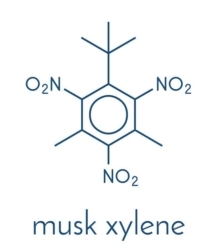 Musk (synthetic) has been shown to concentrate in human fat tissue and breast milk, and is linked to endocrine disruption, reproductive toxicity and organ system toxicity. If it’s on the ingredient list it may appear as musk ambrette, musk ketone, musk xylene, galaxolide, tonalide, phantolide, celestolide, traseolide, versalide, cashmeran – but even if not listed, the giveaway will be descriptions of the smell which identify a musk odor. (Virtually all musk is synthetic these days, see our article on vegan and cruelty-free perfume). 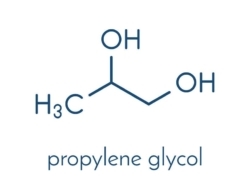 Propylene glycol (PEGs) is marked as a safe ingredient by the FDA, yet the Centre for Disease Control and Prevention reports that “dermal exposure to propylene glycol, through cosmetics or drugs, or inhalation of synthetic smoke or mist, may be more frequently associated with reported reactions.” Those reactions can include anything from skin irritation to kidney and liver issues. Pthalates are a large group of chemicals, and are widespread in fragrances, typically in what are called ‘fragrance oils’. Phthalates are known endocrine disruptors, and studies have linked them to a birth defects including autism, lower IQ, asthma, obesity, diabetes and breast cancer. Diethyl phthalate is a chemical found in 97 per cent of Americans. Direct exposure to it can cause headache, dizziness and nausea, and the chemical has been linked to sperm damage in human epidemiological studies. 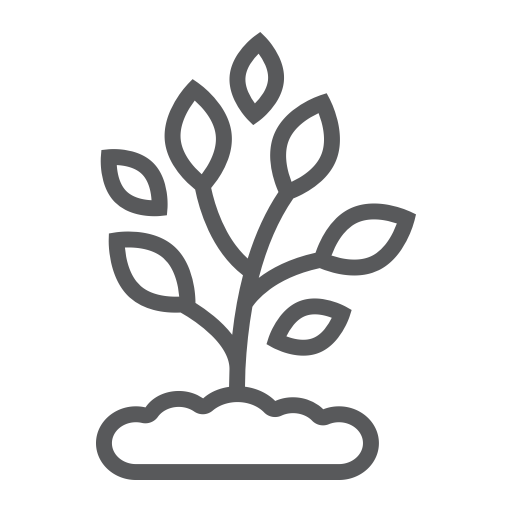 Look for these on the label: phthalate, dibutyl phthalate, dimethyl phthalate, butylbenzyl phthalate, diethyl phthalate, DEP, DBP, DEHP. 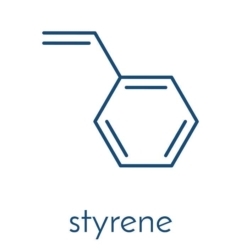 Styrene was determined to be “a reasonably anticipated to be a human carcinogen” in 2011 by both the National Toxicology Program and the National Academy of Science, and can be found in some fragrances but is not required to be listed as an ingredient. Fragrance/parfum is the trickiest one of them all. It’s the catch-all ingredient that could really be… anything! Most perfumes (and soaps, shampoos, lotions, makeup, etc) will have the term ‘fragrance’ or ‘fragrance oil’ on their list of ingredients. This generic term is usually refers to a proprietary mix of ingredients, and ingredients that will lend a perfume or fragrance its specific scent. Perfume companies are not required to go into further detail the way food companies would be. Many of the chemicals listed above won’t appear on the label, but could be included in the product as a part of its ‘fragrance’. ‘Fragrance’ is also commonly used in soaps, shampoos, moisturizers and many other cosmetic products. What to look for on the label: ‘fragrance’ or ‘fragrance oil’. What is NOT on this list? All the cosmetic and perfume ingredients specifically known to cause sensitization and contact dermatitis, because we’ll talk about these in a dedicated article on hypo-allergenic perfumes. You want to protect yourself. What can you do? Better safe than sorry! The most obvious place to start is to look at the ingredients list when you buy a product. If ANY of the above ingredients are listed, consider steering away from it. It is not a non toxic perfume in that case. However, remember that in the US, manufacturers are only required to put ‘fragrance’ or ‘perfume’ on the label. They’re exempted from listing the individual ingredients. So this method, while a good place to start, is not completely failsafe. 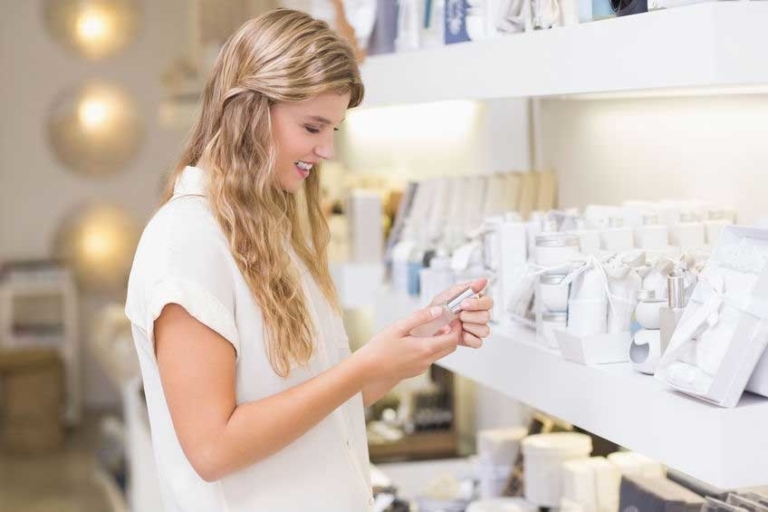 If the call of the perfume counter is just too irresistible, then at least, at all costs, steer away from duplicates or imports from non-regulated countries. These are more than likely contain the heaviest carcinogens, whereas perfumes from larger, well-established corporations are typically adhering to IFRA standards, and will at least not contain many of the most harmful ingredients..
Also, if you do feel irritation from any perfume, of course you should either spray the perfume only on your clothes, or refrain from using it at all. You could make it easy on yourself by buying natural, non toxic perfume from reputable brands. 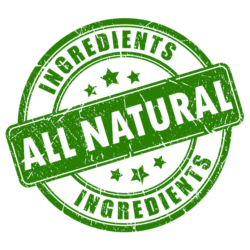 Of course, be aware that just because something is ‘natural’ doesn’t mean it’s allergy-proof! But at least you’ll be able to breathe easy knowing that you aren’t spraying a cocktail of unknown, untested chemicals on your body every day. The federal government offers very limited consumer protection against chemicals in cosmetics and fragrances. Basically, there’s the United States Federal Food, Drug, and Cosmetic Act. It doesn’t approve cosmetic products, but it will remove products from shelves if they are mislabeled or found to contain unsafe ingredients. It does carry out inspections of cosmetic manufacturers to check for product safety and adulterated products. The Act defines cosmetics as “articles intended to be rubbed, poured, sprinkled, or sprayed on, introduced into, or otherwise applied to the human body…for cleansing, beautifying, promoting attractiveness, or altering the appearance,” so it does include perfume. However, there is no government body actually regulating cosmetic products (and perfume) the way food is regulated. California was also the first state to pass a “Safe Cosmetics Act” in 2005, which requires manufacturers to disclose to the state any product ingredient that is on state or federal lists of chemicals that cause cancer or birth defects. But note that this does not necessarily prevent companies from putting those products on shelves – it’s just requiring them to report the harmful ingredients! The Campaign for Safe Cosmetics is all about helping consumers be aware of the stuff that goes into our daily-use cosmetics and personal care products. Compare ingredients against their Chemicals of Concern database when you’re label-checking. You can also sign petitions for safer cosmetics through their website. Women’s Voices for the Earth published an excellent report, Unpacking the Fragrance Industry, on the “failings of the fragrance industry’s self-regulated safety program”. 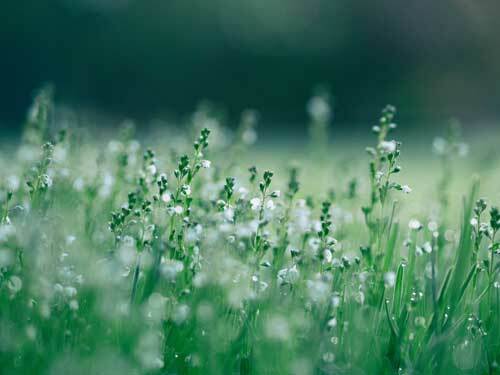 They also list on their website all the fragrance chemicals of concern on the IFRA list, along with a number of other excellent articles on this topic. And of course, ‘there is an app for that!” – The “Think Dirty” app lets you scan a product barcode and see information about its ingredients, right there in the shopping aisle. You may be surprised by what you see… and it may affect your purchasing decision. With all this information at hand, you can start thinking about the products you buy and understanding their potential long-term effects on your health, and make choices that are right for you and your family. So go forth, smell good, and be healthy!